← Do blogs drive news? 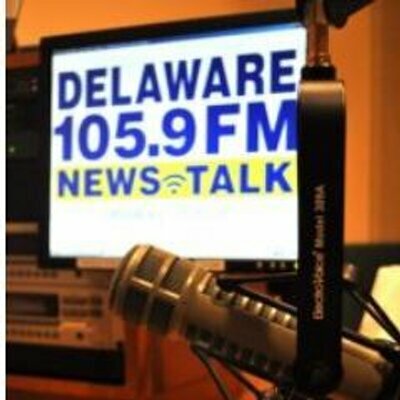 In Delaware we fianlly have a reporter willing to give credit. Reach Academy for Girls is once again suing the Department of Education to avoid closure, making it the second Wilmington charter school fighting a legal battle with the state to stay open. The schools, both of which serve mostly black, low-income students, argue that closure would rob families of schools they feel are the best fit for their children. But even some charter school supporters say the state needs to be able to close under-performing charters or hundreds of children each year won’t get the education they need to succeed. It a nutshell, if parents are permitted to choice their children in traditional and charter schools not meeting federal standards re: not meeting AYP, why should Reach and Moyer parents chose these schools even knowing they are at the bottom of the Meece’s crab barrel? Growth is growth and something to build on! But Jea, black parents made the “choice”! No one forced these parents to make that choice. High-poverty schools do receive extra funding called Title 1. Then there is the Longwood Foundation helping selected high poverty charter schools. Charter School of Wilmington had their hand out and didn’t get a dime. Jea, give Jenny a call a float the idea of supporting changes in legislation permitting the City of Wilmington the authority to authorize charter school and once legislation is signed by Markell, Reach and Moyer can request their charter to move under the City of Wilmington authority. I think it would be a major will for Moyer and Reach and a welcome relief to DE DOE. The cost of legal battles only hurts the taxpayers and children. Wilmington could start the process of being more engaged and adding that mayoral control. Also the city can install members on the charters board of directors. “It a nutshell, if parents are permitted to choice their children in traditional and charter schools not meeting federal standards re: not meeting AYP, why should Reach and Moyer parents chose these schools even knowing they are at the bottom of the Meece’s crab barrel” – because parents probably figure what is the difference between sending their kid to Moyer or their feeder? Or Reach or their feeder? I hope they both get to stay open. Embrace your inner Crab Bucket. When you effectively admit that our TPS is beholden to powers that don’t have ALL children’s interest in mind but only those considered worthy or needy enough, THEN and only then will criticism have any validity. The proof is all around you, and your responses to me and others “doth protest too much” that the Crab bucket mentality is very close at hand. Answer the question, why would parents choose a poorly performing charter over a fully funded, fully supported TPS? Are they crazy or desperate? If they are crazy then there is counseling help, if they are desperate, why? Again, the truth is in the schools you so adamantly proclaim are perfectly acceptable and that if only the escaping crabs wouldn’t be allowed to leave (take their money elsewhere) things would be so much better. Wilmington needs to be it’s own district and the residents (ALL city residents) should be fully invested. Demanding more Delawareans throughout the state and county need to pay for Wilmington’s schools is a recipe for failure. Jea needs to accept that subsidizing the county for city schools is theft and that if he wants any support for his race baiting and lawsuits, he needs to focus it where he’s not biting the hand that feeds. If he doesn’t like the treatment then pony up his own constituents’ money and efforts and build a better school where he can control his complaints. M Ryder, per usual ascribing words I’ve never expressed about parents or choice. But if it makes you feel better to assign beliefs to me that I don’t hold, go for it. Answer the question, why would parents choose a poorly performing charter over a fully funded, fully supported TPS? What you won’t address is the root causes of why parents want to access these other educational opportunities. The root causes and the elimination of them would render nearly all charters useless. Take away the causes for parents to seek alternatives and you will have an educational solution that does nearly everything 90% of residents want. Continue to NOT provide want the residents want and freedom of choice should and will have an effect. Your criticisms and labeling (“crab bucket”) of alternatives deflects from the root causes but doesn’t solve them. By the way, it isn’t those that choose alternatives that have the Inner crab bucket mentality, it is those who would say they shouldn’t be allowed to leave or choose. It is you who should embrace your inner crab mentality. wrong again. Not crickets. Parents choose what they think is best. Simple as that. Also, no labeling. The folks are literally using the crab bucket analogy of pulling others down, and I’m calling them out for being selfish. Feel free to disagree, but lying about how I feel or whether or not I pass your “crickets” test, is sophomoric at best. The head of Newark Charter School often notes that the waiting list for the school is more than 2000 students even after NCS enrolls students all the way up to its 1600 capacity. Shouldn’t the system be trying to give the families of these 2000 students what they want? Couldn’t CSD start up new magnet (all-choice) schools to capture this demand and build on it? Of course they could. The question that Midnight Ryder seems to be asking is why hasn’t the CSD board listened to these 2000 families (plus the 1600 who are already in NCS) and tried to deliver what they are obviously asking for? Red Clay does it. State-chartered schools do it. The vo-techs do it. Most parochial schools do it. I think MR is simply wondering out loud why CSD has not acted to serve this public demand. And I think he appears frustrated in not getting a straight answer. “DoE leadership, past and present, created these charter schools knowing full well they were high-poverty and segregated,” Street said. What does he think a wilmington school district would be? I’m trying to follow all of this. Are you saying that the students in Reach Academy are being told they will have to go to another public school that doesn’t meet standards because Reach doesn’t meet standards?? If so, these children are being mistreated, perhaps abused. They chose Reach (as I understand it, Reach is an all-choice school) instead of the failing school they are assigned to. If this is the case, there must be something at Reach that they want, that they can’t get at their assigned school. If what I have written above is correct, then Delaware should be ashamed of itself. Some made by sent back to feeder schools not meeting AYP and they shouldn’t be allow to choice to another charter no meeting AYP. Schools don’t fail! People do! The law needs to change where at least one board member on every charter school is appointed by the state board or charter schools hold school board elections. Students anywhere in this state should not be allowed to choice to “any” school not meeting AYP. I am not happen with Reach and Moyer’s board and governance but children should not suffer and be a political pawn to prove Jack Markell has the courage to close low performing schools. For every “underperforming” charter school that gets closed there SHALL be one “underperforming” district-managed school which is ALSO closed. One for one. No “extenuating circumstances”. There are plenty of underperforming district-managed schools to choose from. Far more underperforming district schools than charter schools. This quid pro quo would resolve any accusations of bias in the closure decision process. What’s good for the goose ……. Closure has to have the same “impact”. Every employee of the closed schools will be kaput. Bread line. No recourse. No transfers or bumping or other “district-wide” nonsense. Musical chairs. If you are at the underperforming school, you go. That will produce some very interesting self-interested dynamics we should all see and witness. This would at least put honesty into the equation. It would probably result in far fewer closures. Which Publius is fine with. But if there are going to be closures, there should be “equal access” to closures. Closures for not meeting test scores should not be the exclusive domain of charter schools. Hey publius, you hit the nail on the head. We have two different systems for how we manage our public schools. If you want one for one to be successful we first need to start treating them the same. And that my friend will require legislative courage. Uhh, yes … duh. Did you forget where you were? Would that it were not true, not just in the People’s Republic, but in all of what’s-left-of-America, that 40-60% not meeting standards is successful (fully governmental), but 30-40% not meeting standards is not (semi-governmental). Let’s try the calculus. 40% failing x 100% capital S State control = 0.4; 65% failing x 60% State control = 0.39; clearly a huge win for the educratic State! Also clearly the reason the capital S State has to act quickly and decisively to protect itself from the grim truth having time to settle upon and prick the slumbering awake. You are absolutely right on that one Publius. Embezzling state funds to get foot massages or cheating on those standardized tests lying about your doctorate are certainly other good examples of reasons why charters should be closed. Thanks for clarifying! I disagree. Lying about your doctorate is a stupid reason for closing a charter school. And it isn’t why they closed anyway. Pencader was horrible about advertising their school. That was their real downfall. Everything else snowballed from there. You shouldn’t close a school because the leader is a fraud. You get a new leader. You shouldn’t close a school that worked on so many levels, especially when what is ‘working’ is beneficial to the students. Really? Ok, there was just one problem. sure. P-Mom, I heard about Pencader WELL before I ever found out about Kilroys! About a whole week! LOL! As a city resident, we received a ton of advertising from Pencader. That was not the problem. The problem wasn’t only lying about a doctorate either. Hello? Team Lewis? Every single adult in that school bears responsibility for its closure. I was just putting one example of MANY why some charter schools have or should be shut down in this state in response to Publius stating test scores should not be the only reason. I don’t think ANY school in this state should be shut down over test scores unless they are cheating. Pandora – spot on. As much as it pains us to remember why this school closed, we simply cannot forget how a bright school imploded. It is our modern day precedent for how a school paved DOE’s road to closure.